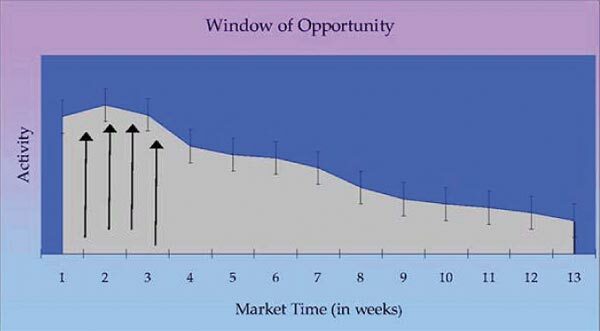 • As a rule, the longer the market time, the greater the discrepancy between listing and selling price. • Accurate pricing in the current market will net a higher return than an "overpriced" listing. • In most cases, the higher the asking price, the longer it takes for the home to sell. It is essential to price your home realistically from the start, so you don't miss the peak of interest that occurs those very first few weeks!